The Samsung Galaxy S 5 intelligently integrates all your contact information in one place. 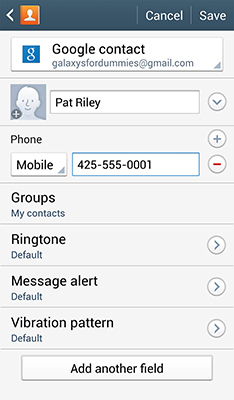 If anyone new contacts you via a call, text, or e-mail, the S 5 makes it easy to add the new information to an existing contact or to add a new one. 1From the text screen, tap the telephone number at the top. 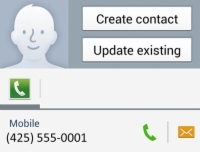 Because your phone does not recognize this number from your current contacts, it only shows you the digits from the phone that sent you the text. To add the contact to your database, move to Step 2. 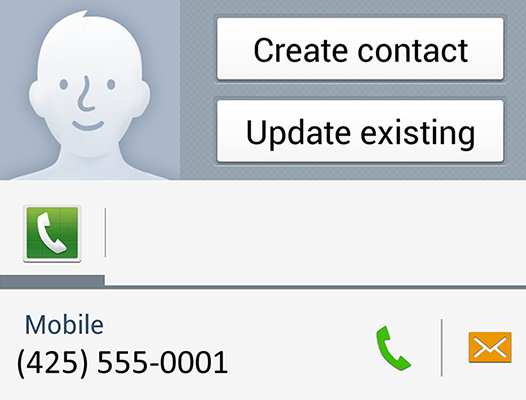 2Tap the telephone number to add this person to your contact database. 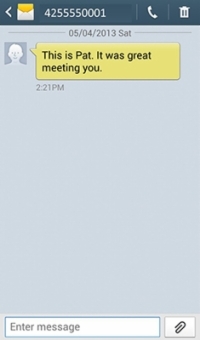 You’ll see a pop-up that will enable you to create a new contact. You’ll see options for saving your contact’s information. 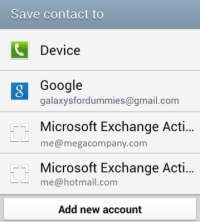 4Save this contact to your Gmail account. You can save it to another account, if that’s appropriate or useful. Selecting the account brings you to this contact screen. 5Add any information you have about this person. Feel free to add any information that is useful to you. 6Tap the Save button in the upper right corner.